What makes a home? What do equality, safety, and politics have to do with it? And why is it so important to us to feel like we belong? 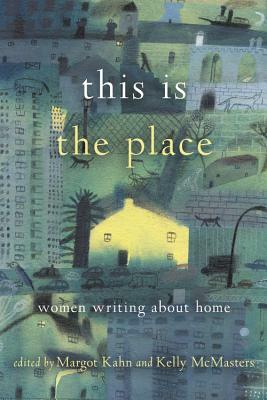 In this collection, 30 women writers explore the theme in personal essays about neighbors, marriage, kids, sentimental objects, homelessness, domestic violence, solitude, immigration, gentrification, geography, and more. Contributors--including Amanda Petrusich, Naomi Jackson, Jane Wong, and Jennifer Finney Boylan--lend a diverse range of voices to this subject that remains at the core of our national conversations. Engaging, insightful, and full of hope, This is the Place will make you laugh, cry, and think hard about home, wherever you may find it. Margot Kahn is the author of the biography Horses That Buck, winner of the High Plains Book Award; her work has appeared in Tablet, River Teeth, and the Los Angeles Review, among others. Kelly McMasters is the author of Welcome to Shirley, one of Oprah's top 5 summer memoirs; her work has appeared in the NYTimes, Paris Review, Tin House, and many others. Both editors hold MFAs from Columbia University.